Snowchange Atlantica refers to the work we have done in the North Atlantic, more specifically in Iceland, Greenland and Faroe Islands. These connections date back to 2002-2003. Snowchange has worked with the community of Broddanes on the oral histories of seal hunting. Similar work has taken place with the seal hunters of Akureyri, on climate change, ocean biodiversity, winds, fish and other themes. 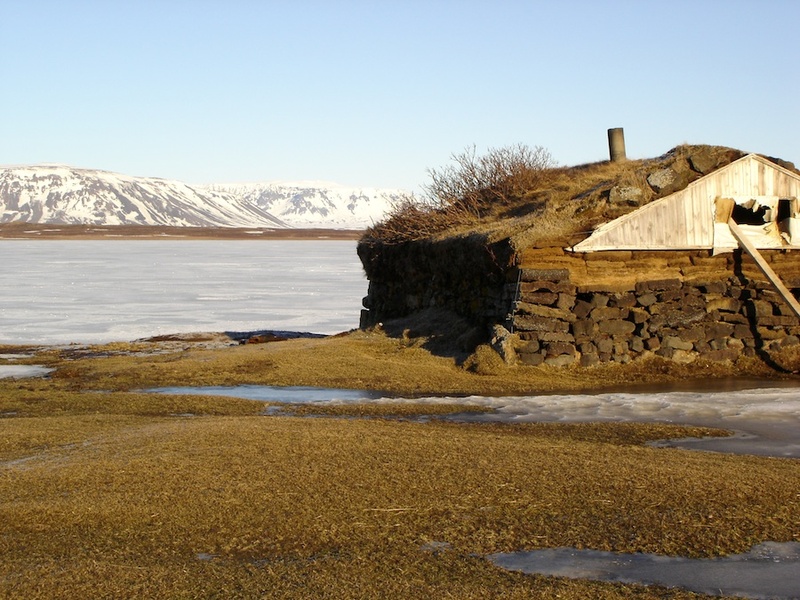 Inland, our partnerships include Oral Histories of Rural Women of Iceland around Akureyri and long-term partnership with the community of Kristnes, close to Akureyri. 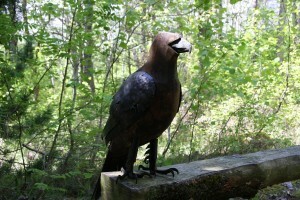 Eagle forged by Beate Stormo. 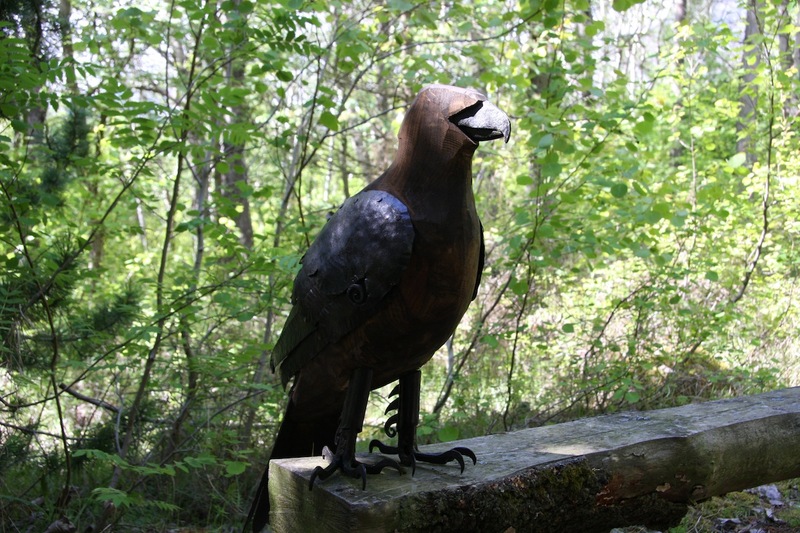 Snowchange, 2008. 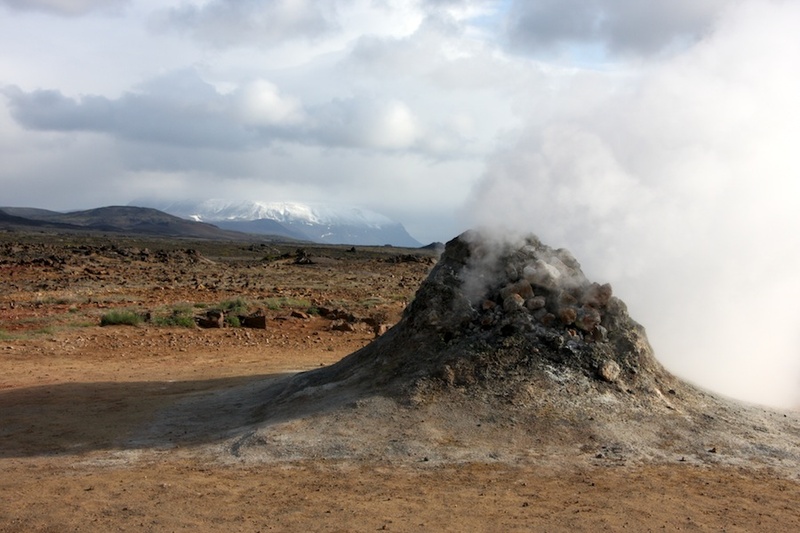 We also communicate regularly with CAFF offices in Akureyri. The active part of our cooperation took place 2002-2004. 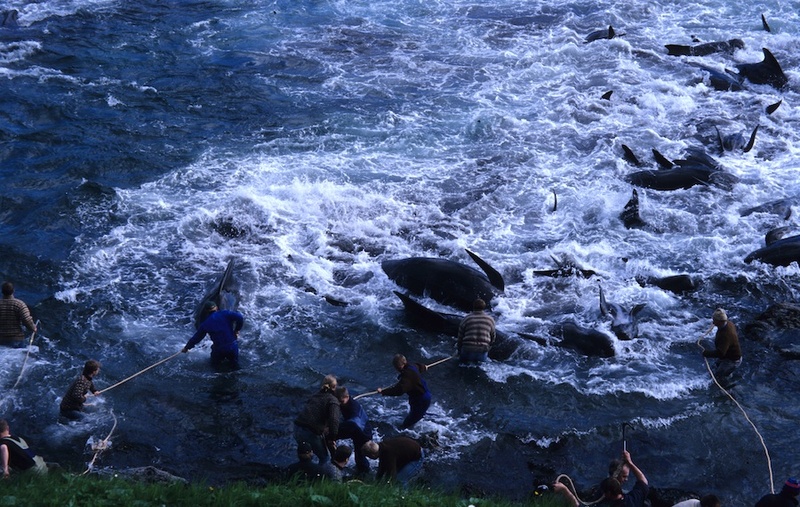 Snowchange documented oral histories and traditional knowledge regarding the pilot whale hunt on the islands. These results were published in the Snowscapes, Dreamscapes in 2004. Currently the resident map-maker of Snowchange, Johanna Roto, maintains the connections to the Faroe Islands. 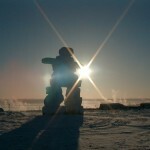 Inuiksuit stone statue from Igloolik, Nunavut, Canada. John Macdonald, 2014. 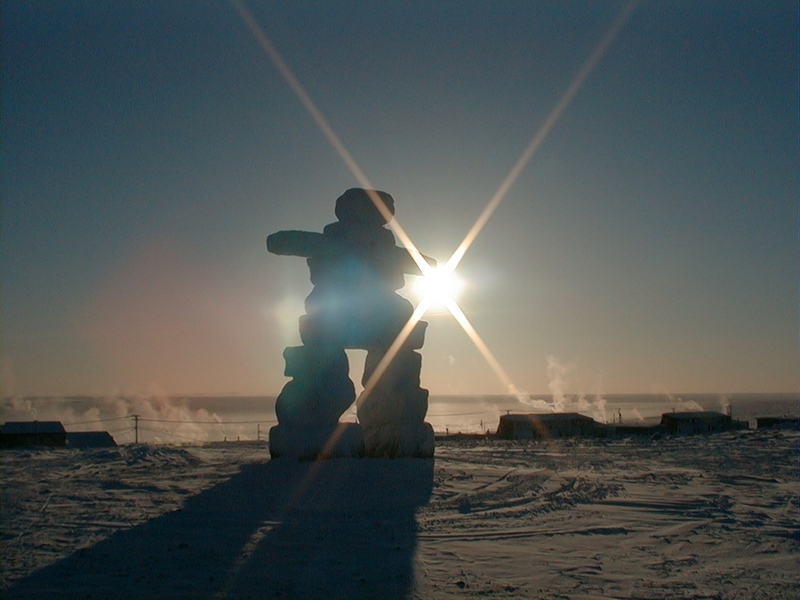 Several Inuit from Greenland took part in the Snowchange events and Conferences 2002-2005. 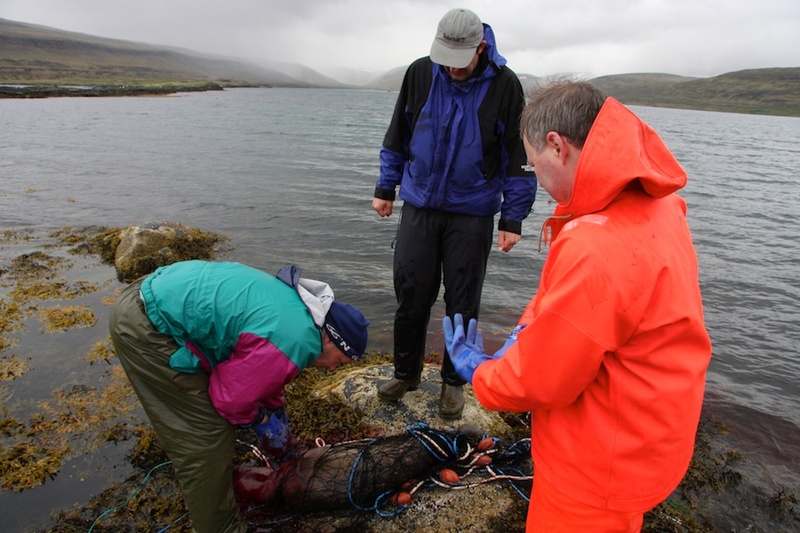 Through the recent partnership with NordECO we maintain a dialogue on community-based monitoring and issues of natural resources in Greenland in the current context. One of the most significant steps over 2017-2018 was the development of community exchanges between Western Greenland, Sámi and Finnish communities. These efforts have been documented in the Deepening Voices report.